Who Should Buy A Grappling Dummy? What Can I Use To Fill My Grappling Dummy? Can It Fit A Gi? Today, we’re going to be taking an in-depth look into one of my favourite grappling dummies. Both variations are pretty similar apart from the obvious difference in leg position. The standing model allows you to perform more of a variety of drills due to that fact that the dummy can be used to train both stand up and ground work techniques. Where as the sitting variation pretty much limits you to the ground. If you’re looking to train both stand up and ground work techniques either the stand up or both models will be your best bet. Summary: The Celebrita Grappling Dummy comes in two variations - sitting and standing. This is awesome as it allows you to drill a wide range of techniques from both standing up and sitting down. ​Unfilled versions take a while to fill up and require you to buy the filling material separately. Here at MMA stations we’re massive fans of ​using a grappling dummy when you can’t make it down to the gym. 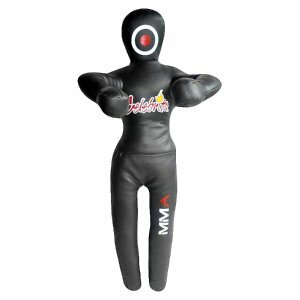 A grappling dummy is essentially a life-size doll that you can use to run drills and practice new techniques. Although a dummy won’t provide you with the same sort of resistance that training with a real person provides, it’s a heck of a lot better than not training at all! I’ve said this a few times before but it does feel weird rolling around with a lifeless dummy, but you get used to it after a while. To be honest, any martial artist can benefit from owning and training with a grappling dummy. That being said, it seems to be the people who can’t make it down to the gym on a regular basis that end up getting a grappling dummy. A few of my friends run drills for half an hour or so at home if they’re unable to make it down to the gym. A lot of seasoned martial artist will admit that it’s a fantastic way of instilling and maintaining muscle memory when you’re not able to train with a real life partner. If you’re a beginner to BJJ or any grappling martial art, a grappling dummy can be a good way to ‘play catch up’ and to cram in as much experience as possible. I’ve seen a few beginners come up through the ranks insanely quickly, which according to them, is partly thanks to their grappling dummy. We’re going to kick off our Celebrita Grappling Dummy Review by taking a look at the seated model first. 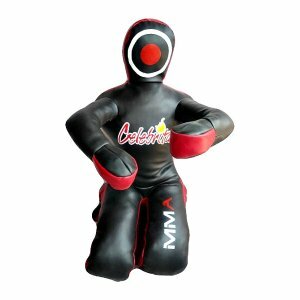 The first thing I should mention about the Celebrita Grappling Dummy is that it comes in two materials – leather and canvas. Although the Canvas material is slightly cheaper, I’ve found that it absorbs sweat a lot more than the leather version. This in turn can make the dummy stink after a while, which is why a way prefer the leather option myself. If you do get the canvas model and it starts to smell, you can always leave it outside for a few hours, which I’ve found helps air the dummy out and reduce its’ smell. The leather material also tends to be a more durable than the canvas alternative, so for me it really is a no brainer. Both variants come with reinforced stitching, meaning that the seems are incredibly sturdy, making the dummy extremely long lasting. The seated model comes in a kneeling position with its hands out in front, making it perfect for running drills from your guard. As well as this, the grappling dummy features a built in shoulder system that allows you to realistically train your triangle choke, arm bars and other choke drills. You could also place the grappling dummy on all fours, which ​opens up a tonne more drilling procedures such as training your quarter/ turtle position. I’ve found that training the turtle position is especially important if you’re new to BJJ, as it can be one of the more confusing attacking positions when you’re starting out. A lot of more experienced BJJ guys can lure you in to a false sense of security by allowing you to take the turtle position, only to swiftly turn the tables. One of the most important aspects to take into consideration when purchasing a grappling dummy is the flexibility of its’ joints. Too little resistance, and the experience will be far too unrealistic. Too much resistance, and you won’t be able to fully lock in your submissions. Fortunately, the Celebrita Grappling Dummies finds the right balance of resistance and provides one of the most realistic training experiences I’ve ever had with a grappling dummy. Although it may be tempting to go for the shorter, lighter option due to the fact it’s cheaper. It can actually provide a pretty unrealistic training experience, especially if the guys you’re going to be rolling with are going to be a lot bigger. 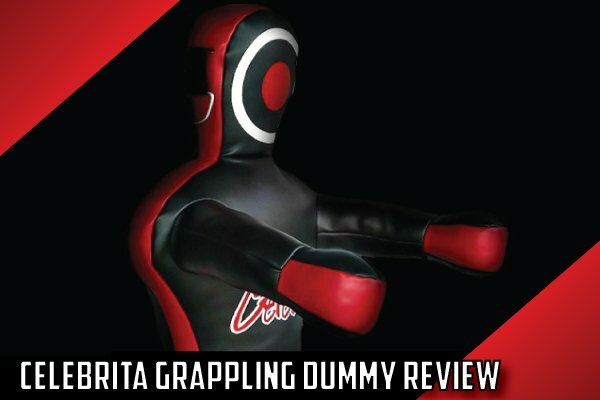 Ok, moving onto our review of the Standing Celebrita Grappling Dummy. To be honest, this is pretty much the exact same as the seating dummy, however just in a different position. 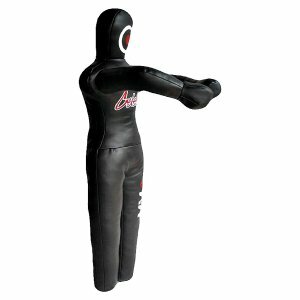 Again, the Celebrita Grappling Dummy is available in leather and canvas materials. Although the leather costs more, it’s much better due to its moisture wicking properties as well as being more durable and long lasting. The dummy also features reinforced stitching along the seems, making it incredibly tear resistant and long lasting. This is awesome especially considering that the dummy costs around a hundred bucks, which is seriously cheaper than a lot of other models out there. The dummy comes in a with its’ legs out straight and its arms out in ​a fighting position. This makes it incredibly versatile and is suitable for a number of drills and exercises such as punches, kicks, take downs, knees and elbows. Despite being designed to drill throws and take downs, the dummies rigid and tough design make it perfect for drilling submissions on the ground. This is great for developing your transitions from standing to ground work and provides the perfect platform for safely developing your ground and pound. As I mentioned earlier this is an incredibly important element of a grappling dummy. 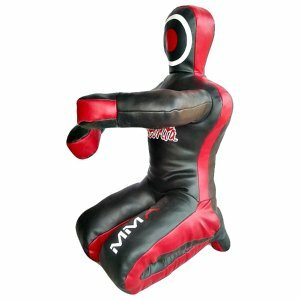 The standing Celebrita grappling dummy is slightly more rigid than the sitting version due to the fact that it is primarily designed for drilling throws and take downs. That being said, it is fair more suited for drilling submissions than other throwing dummies on the market. The limbs flexibility allows you to move straight into a submission from either a throw or a take down. As you probably know, once you’ve taken someone down, you’ve got a split second to transition into an attacking position and either go for the ground & pound or submission. The dummies flexibility allows you to develop this movement. If you do this on a regular basis, you’re sure to create muscle memory and make this sort of transition second nature. Similarly to the sitting version, the standing dummy comes in two weights and sizes. I’ll list these below so you can see which one is right for you. It’s slightly annoying that the only filled option is the 70” model, however it’s seriously easy to fill your own dummy and a bit cheaper as well, which is a bonus! I'll go over how to fill your dummy once we've finished the review. So, the Celebrita grappling dummy didn't take your fancy? 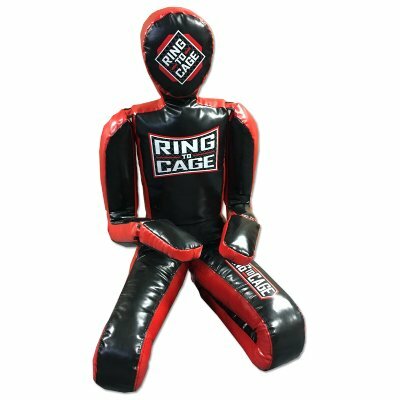 Another fantastic option is the Ring To Cage Grappling Dummy. This is another kneeling dummy, however its' legs can be straightened out so that it can be used for drilling take downs and throws as well. ​This is awesome as it means you don't have to buy two dummies, however the dummy itself is pretty expensive. 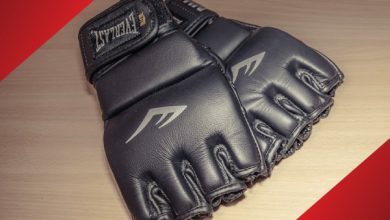 ​If you think you may be interested, you can check out our full Ring To Cage Grappling Dummy review for all the information you need. If like me, you'd rather save a few bucks and get the unfilled option, you're going to need some materials! Filling a dummy can be a tedious task, but it provides you with the option to choose which filling you want and how full you want the dummy. ​I've actually gone into a textile shop in the town over from where I live and asked if they had any spare material lying around. They were actually really nice and gave me a tonne of textile rags on the cheap, which are still in one of my dummies to this day! The Celebrita Grappling Dummy is one of the few dummies that I have used that has extremely realistic proportions. This in turns allows for a Gi to be placed onto the dummy, which is great if you're wanting to drill some techniques ​such as Gi chokes. So, we've made it to the end of our Celebrita Grappling Dummy review. ​Celebrita have absolutely smashed it with these two dummies, making some of the highest quality models on the market. Now you've got your grappling dummy, here are some example drills that you can run through. All product images courtesy of Amazon.com. Featured image by ​Celebritamma.com, adapted by MMA Station. 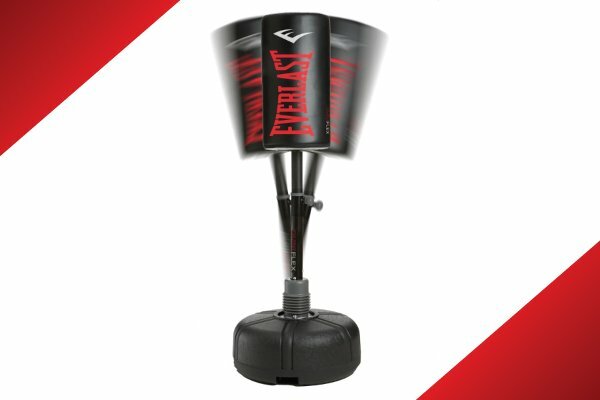 The Celebrita Grappling Dummy is the perfect way to train, develop and drill new techniques when you can't make it down to the gym. The dummy comes in both sitting and standing models and is one of the best value for money grappling dummies on the market.